Tue., Feb. 5, 2019, 9:12 a.m. Cost: $27-$113. Children who have not had their first birthday do not need a ticket. Tickets available at the box office, all TicketsWest outlets, by calling (800) 325-SEAT and www.ticketswest.com. If you’ve got a little one at home, you’re likely familiar with Connor, Amaya and Greg, otherwise known as Catboy, Owlette and Gekko, respectively. 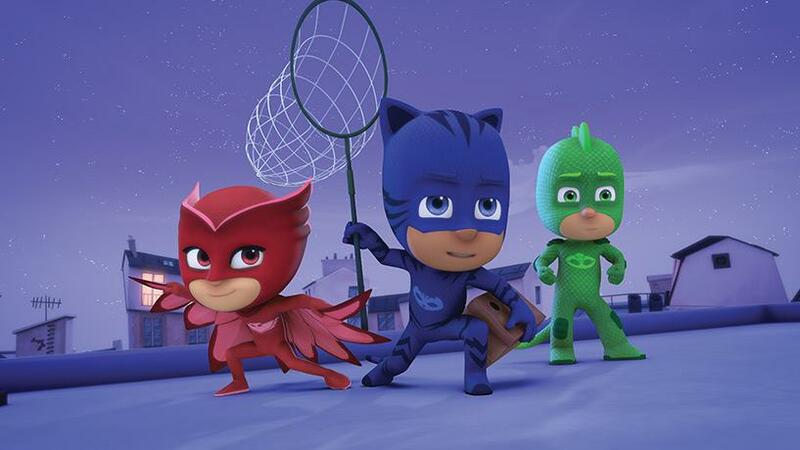 On “PJ Masks,” when nighttime falls, the trio of first graders don their pajamas and transform into their superhero alter egos. “PJ Masks, we’re on our way. Into the night, to save the day!” the trio often proclaims. And save the day they do, defeating villains like Romeo, the Wolfy Kids (a trio of werewolf siblings), Night Ninja and Luna Girl. In “PJ Masks Live: Save the Day!,” Connor, Amaya and Greg will bring their superhero alter egos to the Spokane Arena stage. The show will feature popular songs from the show as well as new music and a brand new adventure. Published: Feb. 5, 2019, 9:12 a.m.